Choosing the cheaper advertising cost from radio to TV to other forms of above-the-line promotions, social media marketing is now the “go to” medium of businesses both big and small when it comes to (effectively) tapping client prospects. Most of your target market is already engaged with your competitors through Facebook or Twitter, and if you don’t reach out to them, chances are, you’ll lose a chunk of the sales big time! A strong marketing strategy done on social media can rake in the ROI for you as well as build a loyal fan-base of brand ambassadors. A relatively new branch of advertising, social media marketing and advertising is a type of marketing whereby tapping your audience and hitting sales goals are made possible through creating and sharing content on social media. From posting status updates, to pictures and livestreaming, and the use of paid ads and boosted posts, all of these are means of social media marketing. From the cool minds of creative solutions services, here are some basic hacks that will help you get started in social media marketing. 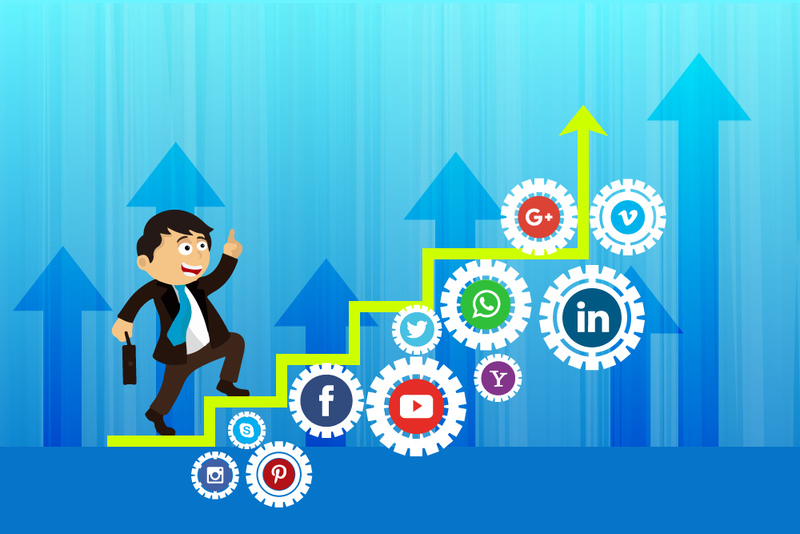 After reading, your next step is to take the plunge and develop that social media marketing plan set to wow your audience. Before you start manically activating fan pages on Facebook, Instagram, Twitter and every social media network under the sun, think about your goals first and if the channels you are using are apt for your goals. Without a clear digital strat plan, all your efforts will only be lost in a messy haze of social media hullabaloo. Draft a content plan: Drafting a social media content plan is a very essential part of the process. Consider determining your target audience and who to tap, as well as the keywords they usually use in searching for things that fall under their interests. From there, create content that will capture their interest or drive their engagement. Take time to conceptualize and create great content: Like the more oldskool forms of marketing such as print and out of home ads, content is still the king of the game. Regular posts that provide solutions to your audience needs are the most likely to create engagement. Some of the most appealing forms of content would be infographics, tutorial videos as well as attractive photos. If you are going to post something in social media, make sure that whatever it is, it fits the brand image your company is projecting. How you look and sound as a business should reflect on how you look and sound—be it on social media or above and below your line efforts. Using social media to market your products and services is a perfect way to showcase your content to your target market. Once you build a strong fan base on social media, you’ll be able to post all new material that your loyal followers will immediately lap up. As the wisemen of old said, “know your enemy”— you should be able to monitor the competition in the battleground. By monitoring the competition, you can get valuable data which you can use for keyword research as well as data for social media marketing. Check out what they are doing and see if you can do a much better job. You can’t check if you are really winning in the social media marketing game if you do not have a way to measure, reach and engage. That’s why we have analytics and insight tools like Facebook Ads Manager, Twitter Analytics and Google Analytics to help you measure. Google Analytics is a popular tool that can help you check which posts are doing good and should be used as a template, and those that fail and should be discarded forever. As a word of advice, track all of the social media platforms you’re using to see if you need all of them or if these social media channels are ought to be shut down.